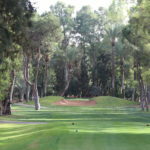 On top of the pleasure of playing, there is also unquestionably the experience of enjoying an exceptional walk at the heart of the hundred-year-old vegetation filled with more than 15,000 trees: Alep pines, eucalyptus, palm trees, olive trees, orange trees… In this amazing haven, where each hole remains an unforgettable souvenir (their words, not ours!). 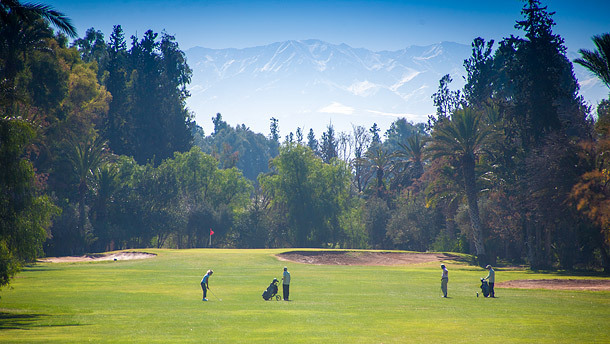 The oldest course in Marrakech, Royal Golf is a proper, well established golf club with an active membership. 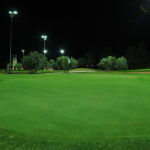 It has 27 holes and is a really pleasant place to play golf. 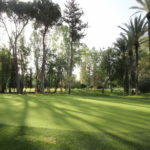 The course is not as challenging as some (not a bad thing) and we often play this course at the beginning of our tour to acclimatise to golf in Marrakech. 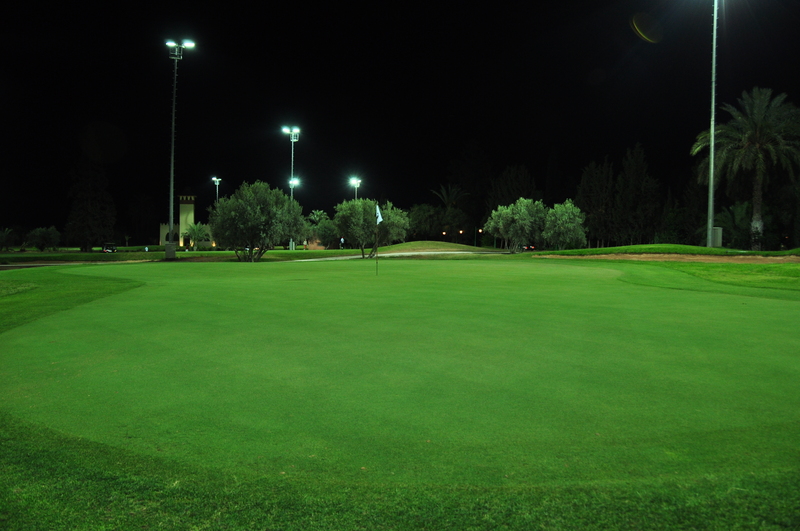 The greens are very fast and putting can be a real challenge but good preparation for what is to come. Try to keep out of the trees if possible but there is no water to worry about! 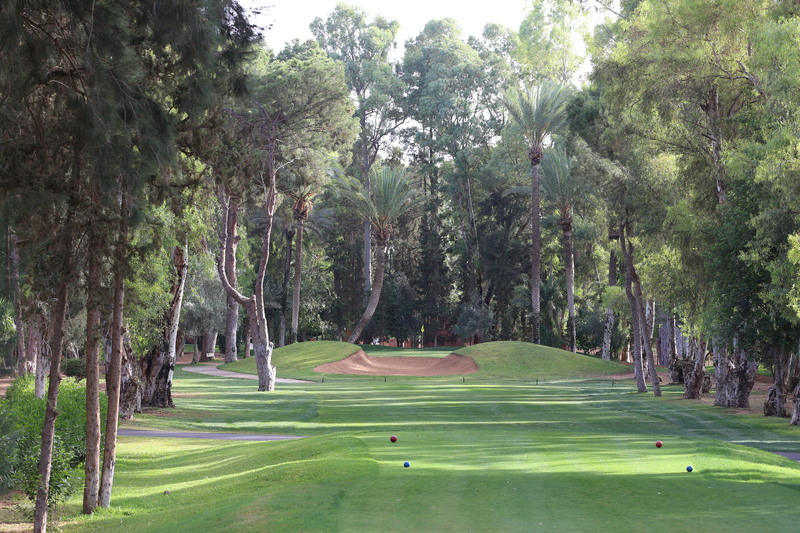 Hole 15 is the famous signature hole at Royal Golf and is nicknamed Brigitte Bardot for obvious reasons due to its beautiful shapes! 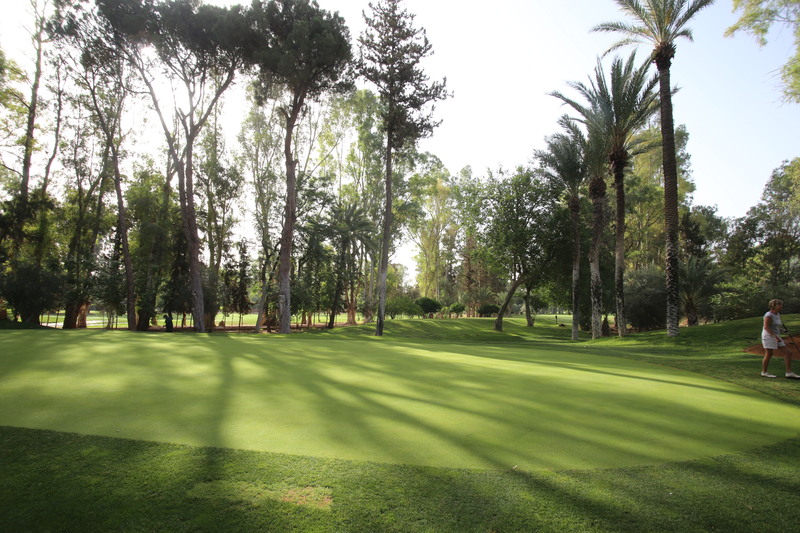 Caddies are available and although there are buggies, walking is fine and there is plenty of shade along the way. The greens are mostly protected by bunkers, a few of which you can even putt out of. 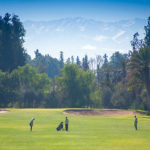 Royal Golf has a really nice open air bar and restaurant serving good food and drink at reasonable prices which is a lovely spot to relax after your round.